My co-workers would be the first to admit I won't shut up about my self-proclaimed hair identity crisis. They'd probably throw in a proper eye roll as well. But it's a real thing. Over the past year, I've noticed my formally big, fluffy, defined curls fall flatter, thinner, and sadder-looking than ever before. At first, it didn't make sense—I cast aside my heat tools in favor of air-drying and removed my clip-in extensions for good. Though, after further inspection, I wasn't exactly treating my hair with the respect it deserves. I was rarely masking, coloring it into overprocessed oblivion, and refusing to cut it (for fear the length I had held on to would vanish). In an effort to put myself in hair rehab, I started doing all those things, and, miraculously, Jen Atkin launched her line of supplements at the exact same time. I had to have them for a bevy of reasons: The first, of course, was for the sake of reviving my once-covetable curls. The second, naturally, was because Jen Atkin told me to take them (and I'd probably do just about anything she told me to). First things first, here are the facts. There are three options in the line: a pack for oily, dry, or thinning hair. I chose "Thin," as that's the ailment I noticed most predominantly. 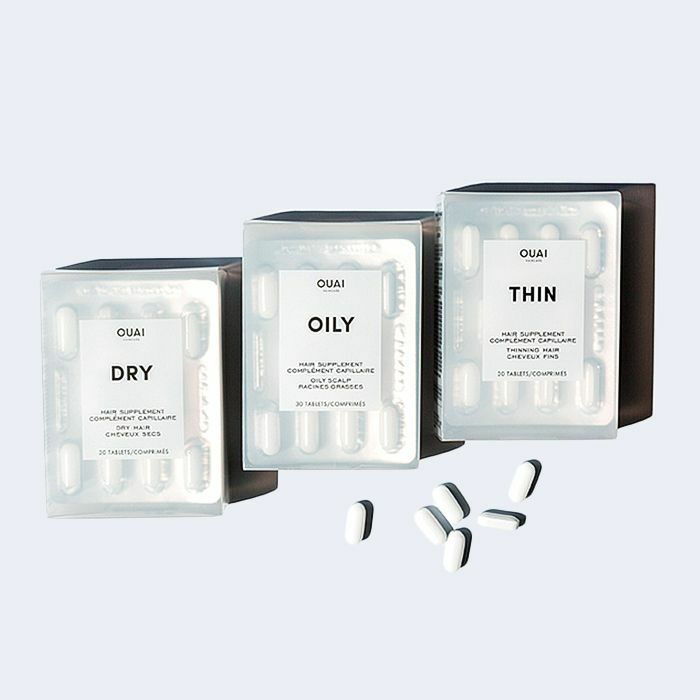 Meant to "breathe life into dull, dry hair," the supplements include MSM, a sulfur-based compound, and biotin to increase hair growth, amino acids to spur keratin production, omega-3 and omega-6 for added shine. The most intriguing of all, though, is the inclusion of ashwagandha, a powerful Ayurvedic healing herb that helps to reduce the stress hormone, cortisol, in your body. Stress is very often one reason—among age, diet, and lifestyle—that your hair begins to thin. Now, take a look at my hair before I started my supplement-filled journey. It's not terrible, but it's not fantastic either. Those curls? They look depressed. And my dry ends have certainly seen better days.